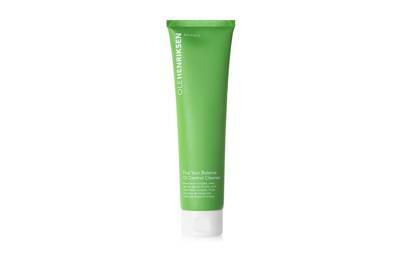 Ole Henriksen fans can rejoice. The skincare brand loved by Hollywood’s A-list is back, relaunching into the UK today. And the best news? It’s available nationwide at Boots. 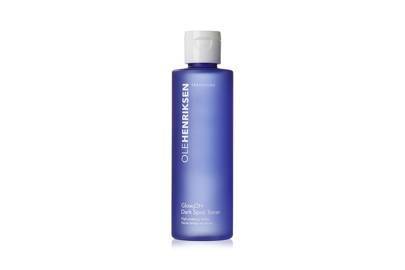 The “Ole Glow” has been a regular feature on the red carpet during awards season and Ole Henriksen’s skincare line – despite having been pulled from the UK – has been a bestseller for Sephora and other beauty outlets around the globe. 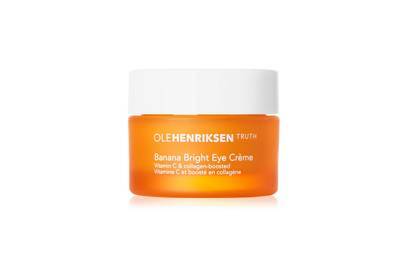 One product, the Banana Bright Eye Crème, £30, which launched last year, is already famed for its make-up and skincare fusion (banana powder-style pigments blended with vitamin C have made it a cult product amongst make-up artists). “Use it after your make-up and you’ll notice how it brightens and improves skin’s elasticity” explains Henriksen. The other standout products in the rebranded range are the Transform Plus Glow Cycle Retin-ALT Power Serum, £50, and Transform Plus Goodnight Glow Retin-ALT Sleeping Creme, £46. The ”Alt” in the name standing for retinol alternative bakuchiol, a plant-based alternative that offers all the benefits of retinol without the side effects that are sometimes associated with it. “It’s a botanical anti-ageing ingredient you can use as young as 20”. 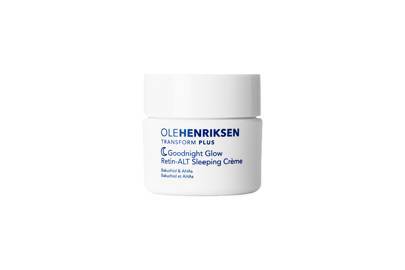 The Cold Plunge Pore Mask, £28, took inspiration form Henriksen’s Scandinavian roots, using extreme cold to awaken skin and tighten – “it’s like an ice cube wrapped around your skin”. 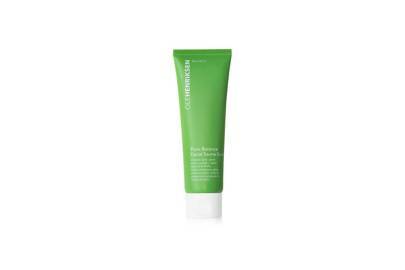 Similarly, the Pore Balance Facial Sauna Scrub has Icelandic volcanic sand and self-heating clay for immediate warmth. The range is now easy to navigate with its four colour-coded franchises; the Truth Collection (orange) uses vitamin C for brightening and anti-ageing, the Transform Collection (blue) for evening out skin tone and texture, the Nurture Collection (pink) for hydration and nourishing sensitive and dry skin and the Balance Collection (green) for acne. 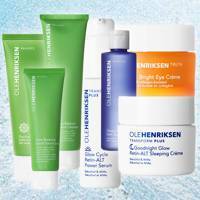 Ole Henriksen is available now, exclusively at Boots.com, priced from £13 to £59.